Mauritius is one of the most scenic and budget-friendly honeymoon destinations among Indian newlyweds, and this is a big reason why Mauritius honeymoon packages are in high demand during the wedding season. 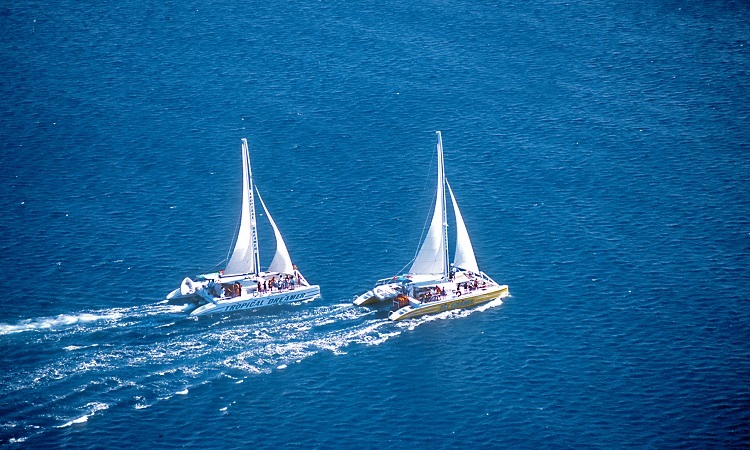 For couples, there are a lot of attractions and activities in Mauritius, however those who wish to turn their honeymoon in Mauritius into a memorable trip can’t afford to miss a romantic catamaran ride. There are private catamaran cruises in Mauritius for couples, and every service on the cruise can be customized by them. 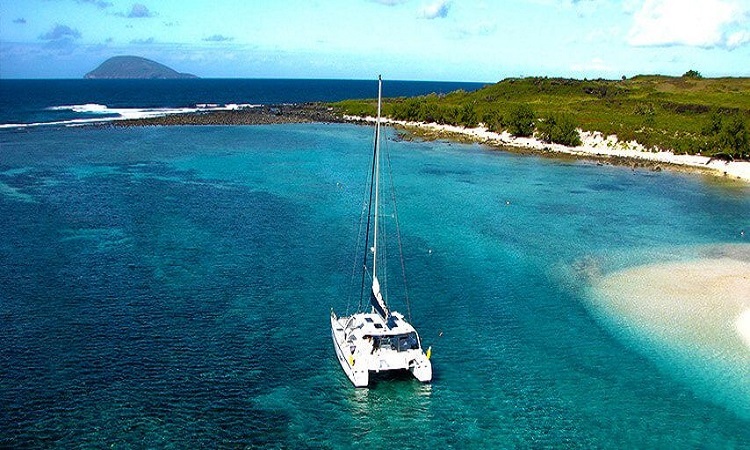 Catamaran Cruises Mauritius and Mauritius Catamaran are the two popular catamaran service providers in Mauritius for luxury rides. They primarily cover 4 destinations – Flat Island, Gabriel Island, West Coast, and Ile Aux Cerfs. Besides, there is a special sunset and dinner cruise that stays on water for 3 hours. 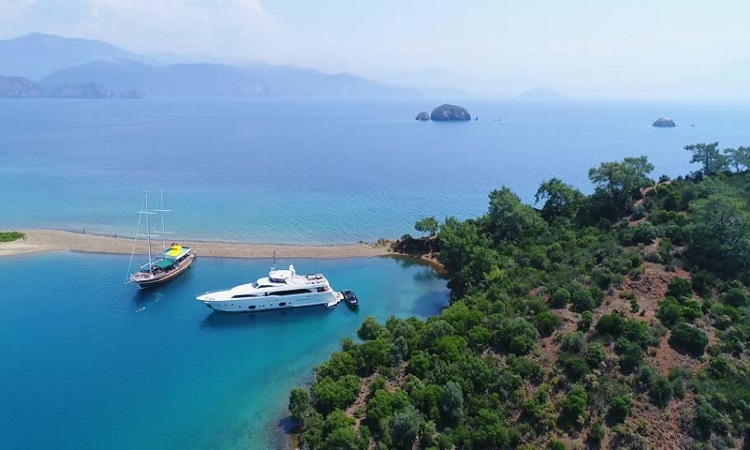 Couples can hire an exclusive cruise to sail to one of the mentioned islands, and spend a day away from the crowd with spectacular scenic beauty all around. Here’s what all you need to know about spending a day on your cruise. On the North of Mauritius, lies Flat Island; the island is part of Mauritius’ Northern Islands which include Round Island and Gabriel Island. Flat Island is bigger than these two islands, with a wide variety of flora. Soak up some sun, while you lie on your luxurious cruise deck. Let the beauty of different islands refresh and thrill you. 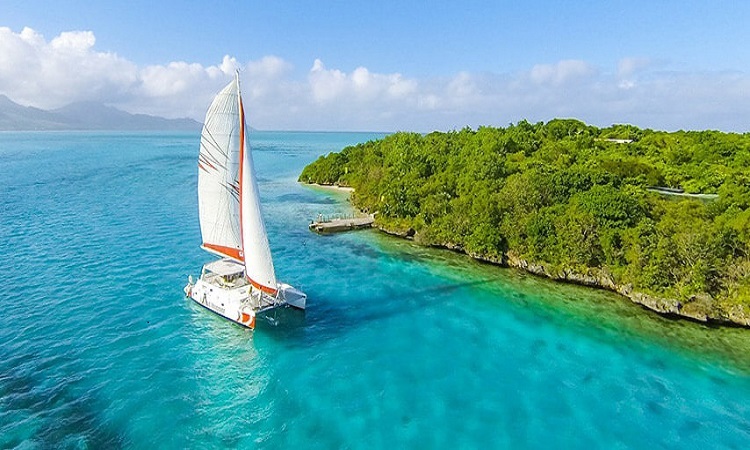 If you wish to explore Flat island, then hire a catamaran cruise to enjoy a full day in Sun, relish delicious food, gulp down sweet wine, and relax all day long. Flat Island is relatively unknown, which makes it a perfect hideaway for romantic couples. On your demand, the cruise staff can cook meals for you or arrange a romantic dinner or lunch date. You can either get a Mauritius honeymoon package with Catamaran cruise for a better deal, or can hire your own luxurious cruise when you get there. Gabriel Island is known for its unspoiled beaches and crystal clear water that surrounds the complete island. It’s an extremely tranquil island made of coralline sand. Couples who want to get away from the hustle-bustle can take a day-long catamaran cruise ride to Gabriel Island. The island is one of the best places to spend some quality time with your loved one and relax. You can also choose to take a short trip around the island without getting off your cruise, but you must not a skip this wonderful island. Mauritius’ West Coast is surrounded by tall Casuarina trees giving the coast a divine look. The coast is home to the nation’s largest Hindu temples and sugarcane fields. Nation’s most diverse coast is the West Coast. If bustling tourist spot is not your cup of tea, then catamaran cruise Mauritius west coast will take you beyond the crowded beaches to sandy bays, Le Morne Brabant (a peninsula at the extreme southwestern tip), incredibly beautiful crags, and Black River. 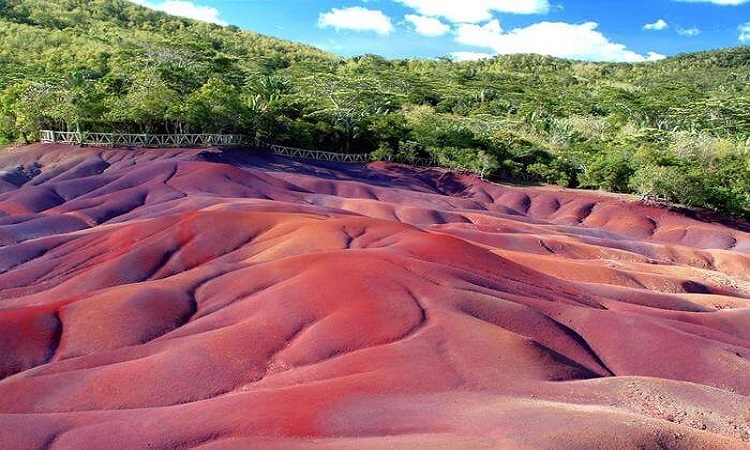 In this part of Mauritius, you’ll see Black River Gorges National Park and the enchanting village of Chamarel. Right from your cruise, you can watch adorable dolphins swim alongside you. The island is known for its sandy beaches and gorgeous lagoon. It is the most popular island making it easily accessible. Tourists head to the island to spend a relaxing day, sunbathe, and try exciting water sports. Any romantic couple who wants enjoy the beauty of the island should try catamaran cruises Mauritius day tour. A day long tour on your cruise will let you explore the beautiful island with the love of your life. You can either choose to try activities like snorkeling, deep sea diving, or relax on the deck of your cruise to feel the wind and soak up some sun. Hire an exclusive catamaran cruise to witness the most beautiful sunset ever. The insanely beautiful colors of the setting the Sun will make you fall in love with your spouse all over again. If you just want to witness the beauty of the setting sun in Mauritius, then a sunset catamaran cruise is all you need. It’s going to be an unforgettable experience for both of you to sail on a luxurious cruise and see the blend of colors in the sky. 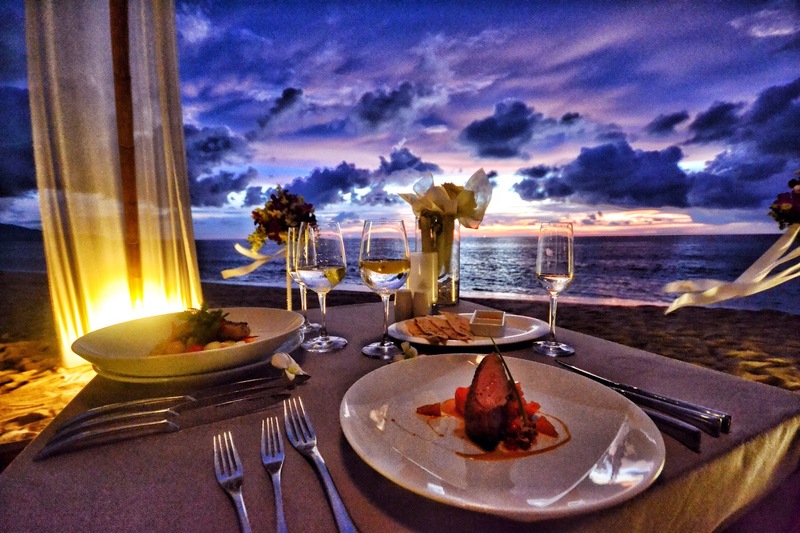 You can ask the staff to arrange a romantic dinner date for both of you. A short sunset and dinner cruise ride is highly recommended for couples.